It’s been quite some time since fans of the long-running Dragon Quest series got their hands on what many would consider a classic JRPG experience. When Dragon Quest X came out roughly 6 years ago it took a shift away from the self-contained experience of the series and instead offered up an MMO experience. 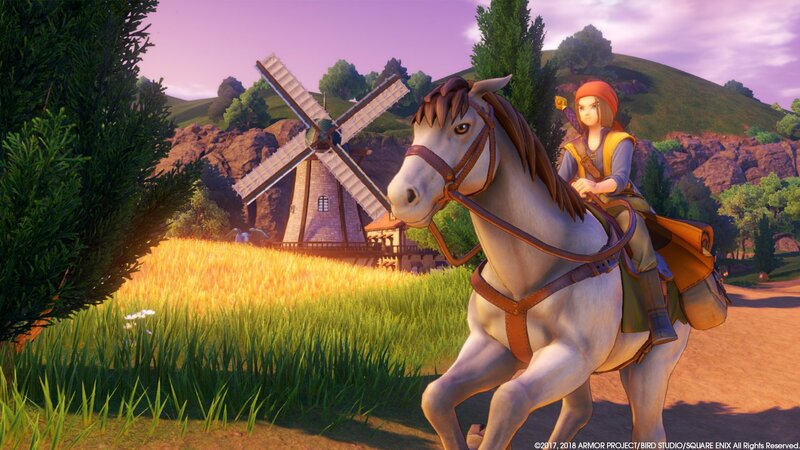 This time around though, Dragon Quest XI: Echoes of an Elusive Age is getting deep into its roots to offer up its audience a more traditional, yet truly remarkable adventure that seems as if it has cherry-picked many of the best aspects of the JRPG genre. Our story starts off the way so many stories in the world of JRPGs do: a young hero from a no-name village discovers they’re the chosen one and heads off on the adventure of a lifetime. In this particular case, the voiceless, innocent young hero that you’ll play as through your journey is the one and only Luminary. As you journey to discover just what that means exactly you’ll encounter corrupt kings, gallant knights, wizards, dragons (of course), and some of the craziest monsters you’ve ever seen including the iconic Slimes that have served as the series mascot for as long as I can remember. It definitely draws upon a lot of classic tropes, and one could easily make the mistake that they’re in for the same old song and dance if they don’t invest enough time. Those that stick with through the somewhat rudimentary introduction parts will be rewarded with a strong plot that takes some interesting and unique twists along the way. I like to keep my reviews spoiler free so I’ll simply say that there are some parts in this game that went places I would’ve never expected. Some were joyous moments of triumph or bemusement, but others were a real kick right in the feels with their sorrow and tragedy. 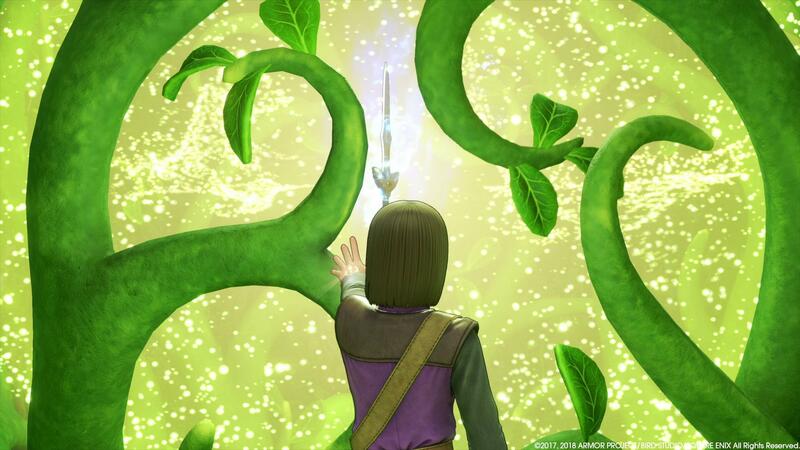 Truly, Dragon Quest XI offers up a robust tale that will keep folks coming back, like a good book whose pages you just can’t wait to turn to find out what happens next. 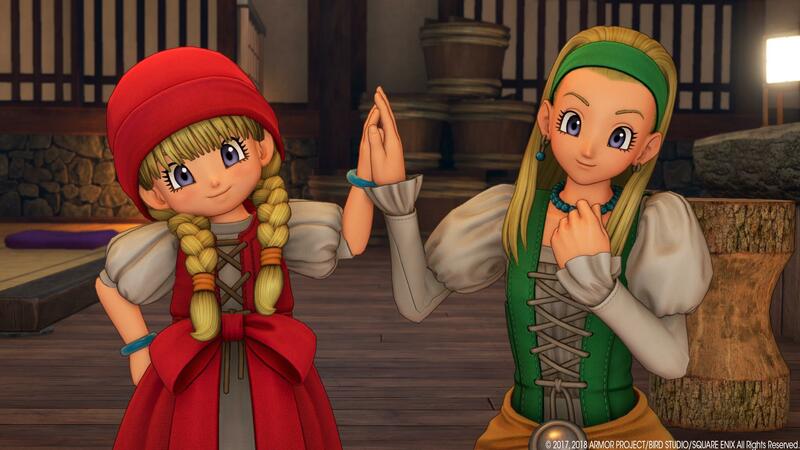 What makes DQXI truly stand out though are its colorful characters that are brought to life through the game’s fully-voice-acted script. While I’m sure that the various party members and NPCs I met along the way would’ve endeared themselves to me throughout my adventure, a fully voice-acted script didn’t hurt at all in expediting the process. Whether we’re talking about Rab the traveler who sounds like Scotty from Star Trek, or the sassy, no-nonsense attitude of the priestess Veronica, the ambitious undertaking of hours upon hours of voice acting pays off in spades as far as immersion goes. In particular, the eccentric and flamboyant Sylvando really shines through in the dialog delivery and helps make the character something extra special. I wish Sylvando was real so that he could be a guest judge on Rupaul’s Drag Race. Visually, Dragon Quest XI is just flat-out, hands-down gorgeous. For those not familiar with Dragon Quest, Akira Toriyama, the man responsible for the Dragon Ball manga series, as well as the art from other great JRPGs like Blue Dragon and Chrono Trigger, is the game’s main artist. His quality of work really shines through in the many exotic creatures and people that you’ll encounter. Each character model has a great amount of detail and excellent shading. I’d even go as far as to say it looks more polished than Ni No Kuni II did. Every creature from the smallest slime, to the biggest boss, looks insanely good. 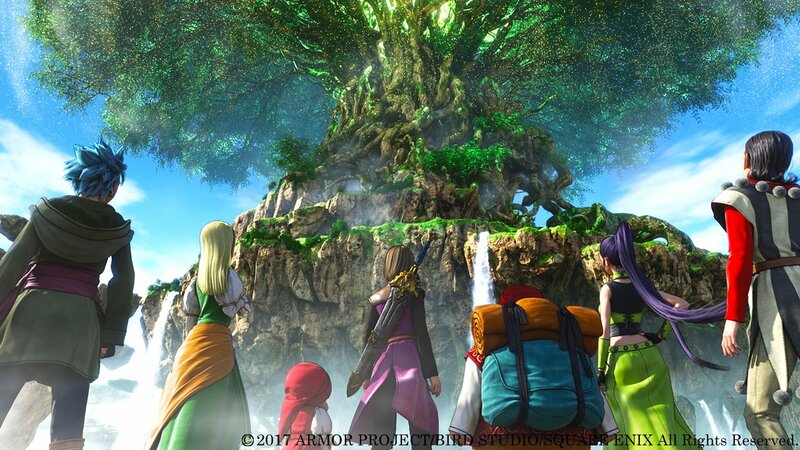 When it comes to gameplay, DQ XI really hit the mark for me as a fan of old-school, turn-based JRPGs. Players can opt to let their companions choose their actions through a list of general commands, so if you wanted a character to just focus on healing or fighting, you can select the proper archetype, or just control everyone’s actions manually. It’s a great feature for players who might not be as good at playing support roles or aren’t as experienced in RPG battle tactics. The balance between all the characters is interesting as well since many have overlapping disciplines or similar abilities. It allows players to maybe try taking out their main healer and replacing them with someone who may have fewer support spells, but come loaded with some strong offensive spells. And if a character really isn’t fitting in the groove with the rest of the party, it is extremely easy to switch them out in the middle of combat. Even leveling up each character’s specific abilities allows players to follow their own path. The system works off a hexagonal grid where each player has their own design to work around. As players level up and gain ability points they are able to unlock blocks on the hex grid that can focus on things like a character’s skill with a certain weapon or new abilities that fall within their class. A few skills are hidden behind question-marked adorned hexes that need to be broken by unlocking the abilities around them as well. The whole system reminds me a lot of the orb map from Final Fantasy X, which was always a favorite of mine. While many weapons can be bought by grinding for cash or found in the various treasure chests, closets and pieces of pottery that are adorned throughout the game’s world, players will also have the option to try making their own pieces of gear in the fun-size forge. Using the forge requires players to have certain ingredients along with specific recipes that they can find throughout the game in order to make new and better weapons. Players can even reforge their items in an attempt to make them even stronger. The forge is also a great way to craft items or weapons just to make some money. The addition of the forge not only gives players even more incentive to explore for new materials and recipes, it also adds another level of options for how players choose to earn better gear while providing a brief but enjoyable forging mini-game. 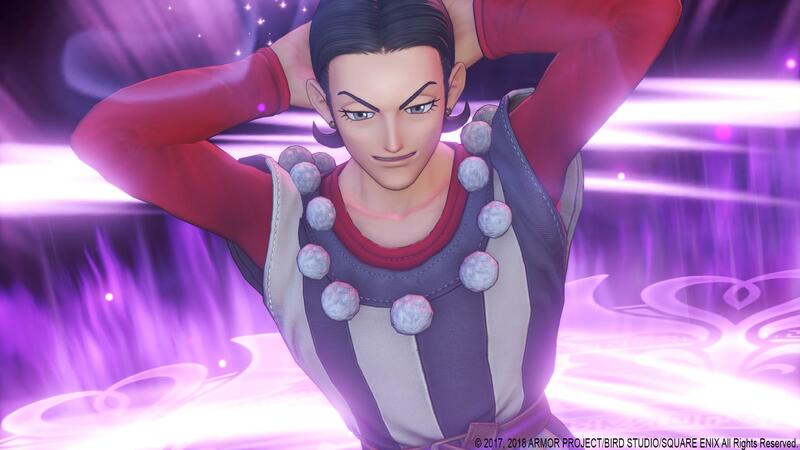 The catered experience that Dragon Quest XI offers with its character and party customizations doesn’t stop there. There’s a healthy amount of side quests that offer up some welcome distraction, but there aren’t so many that you’ll get bogged down in running around the world trying to solve them. But even then getting around the world isn’t too bad since there’s a fast travel system integrated into the game via a spell that you learn very early on in the game. There are other rewards offered up for exploration as well, but I don’t want to get too into them as it may be a spoiler. Suffice it to say that at no point did it feel that anything was interfering with moving the main plot along, only supplementing it with even more content. Speaking of content, there is a lot of it. 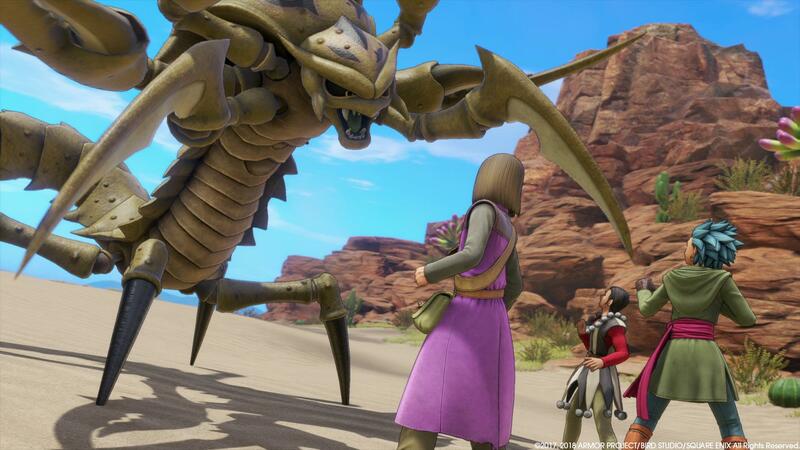 Like between the story itself, the side content, and the new game+ style “Draconian Mode” there are hundreds of hours one could potentially put into Dragon Quest XI. However, fans should know what they’re getting into when they start playing. For instance, this is a JRPG and there is a grind to it. While many of the battles players will face will be optional, it is very much necessary to take part in a lot of fights in order to be strong enough to take on the more challenging bosses faced throughout the game. One needs to really love the grind in order to love Dragon Quest XI, it’s just as simple as that. It may sound divisive, but anyone that’s played a healthy amount of games in this genre should be used to this concept. While I have sung DQXI’s praises fairly high in this review, it does have a few aspects that rubbed me the wrong way overall. My biggest gripe would have to be the save system. While I’m used to only being able to save at certain points in a dungeon the locations of save points can be questionable. For example, making it through a dungeon and having no save spot before a major boss means that if the fight is lost, players will have to start the dungeon all the way over if they lose or run all the way back to a save point then run through the dungeon again to fight the boss. There are a few times where there’s a well placed save point right before a boss, but there’s an inconsistency to when they’ll actually be around for use. When you factor in that you lose some of the cash you’re carrying when you die and have to go back to your last checkpoint. It happened to me a few times while playing through for my review, and it is definitely an aspect of classic JRPGs that I have not missed. My only other gripe with DQXI would be that the music is way too repetitious. I understand that it’s using the classic tunes from Dragon Quests long ago quested, but there needed to be more variety and it definitely could’ve used a more modern set of orchestral samples. If the music was spiced up a bit and the save points were slightly more strategically placed (at least for a few of the big fights) Dragon Quest XI: Echoes of an Elusive Age would have been close to being the perfect JRPG. 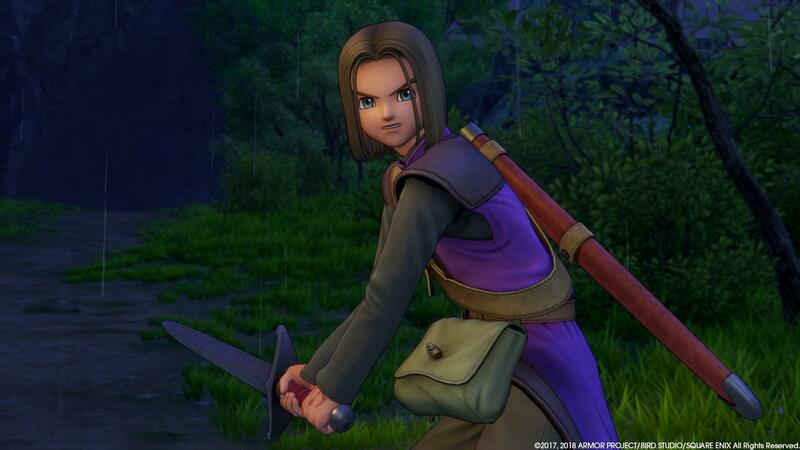 Still, if you’re a fan of the JRPG genre, especially classics Final Fantasy 6, Chrono Trigger, or any of the original Dragon Quests I would heavily encourage you to check out Dragon Quest XI: Echoes of an Elusive Age. I spent some time with Ni No Kuni II earlier this year and I found it to be leap and bounds more engaging, enthralling, and yes, despite NNK2 having studio Ghibli animators working on it, more visually stunning. If you were only going to pick up one JRPG this year, this is the one to pick. I have not been this drawn into a game like this since I played Final Fantasy X and that says a lot. Now, if someone can just explain what exactly “Puff-Puff” is I’ll be all set! This review is based on a PS4 retail copy provided by the publisher. Dragon Quest XI: Echoes of an Elusive Age is set to release in the US for PS4 and Steam on September 4. I forgot that this was coming out so soon. Definitely gonna get it! Don't think I can play games with old school RPG combat anymore. I just tune out within an hour or two. I might have mis-read, but this version I believe has two different combat modes that you can alternate through. So there's the traditional and, again I might have mis-read, a more actionish version. Already have this pre-ordered and am excited for it! Will wait (quite a while from the sound of things) for the Switch version, but this looks sweet. Have the confirmed if the switch version will be the PS4 version or the 3ds port yet? I think it will be the PS4 version. I dont't think the US is getting the 3DS one in any form.